A handsome and fine quality William IV period mahogany chiffonier sideboard of pleasingly small proportions. 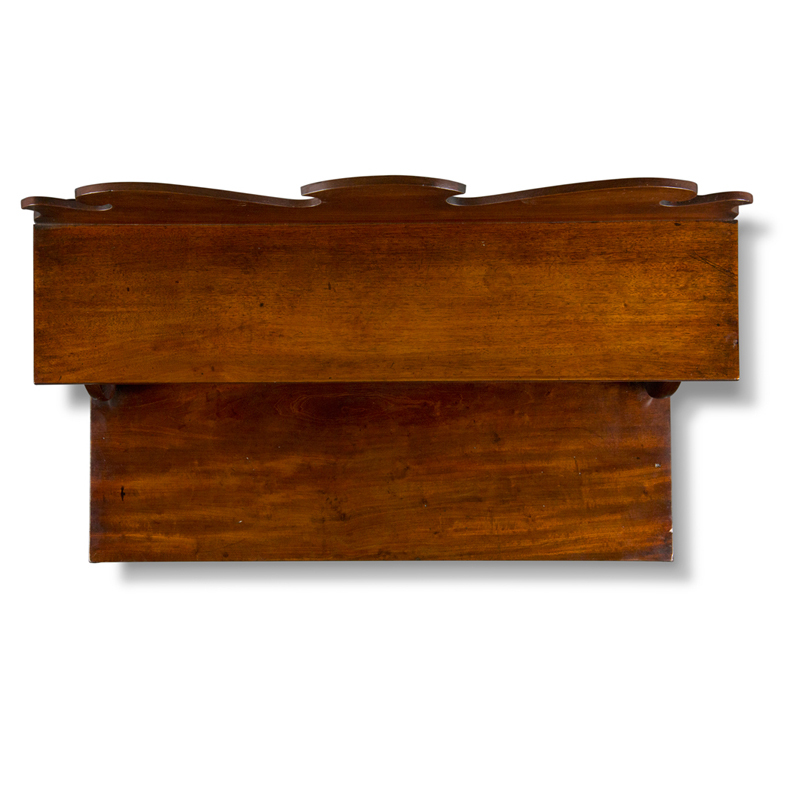 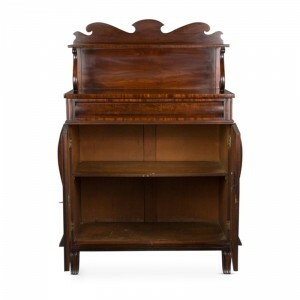 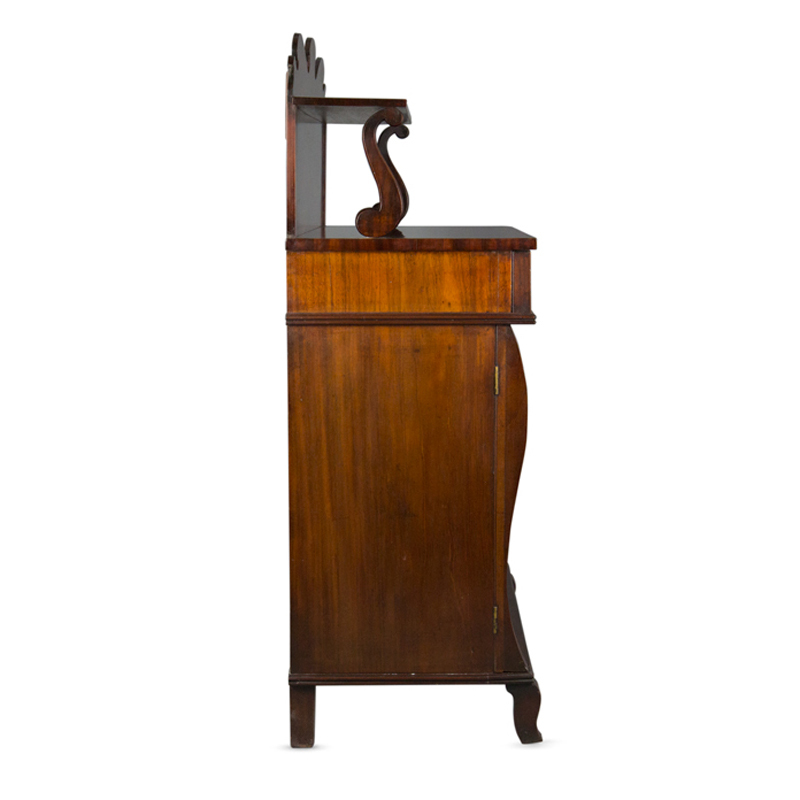 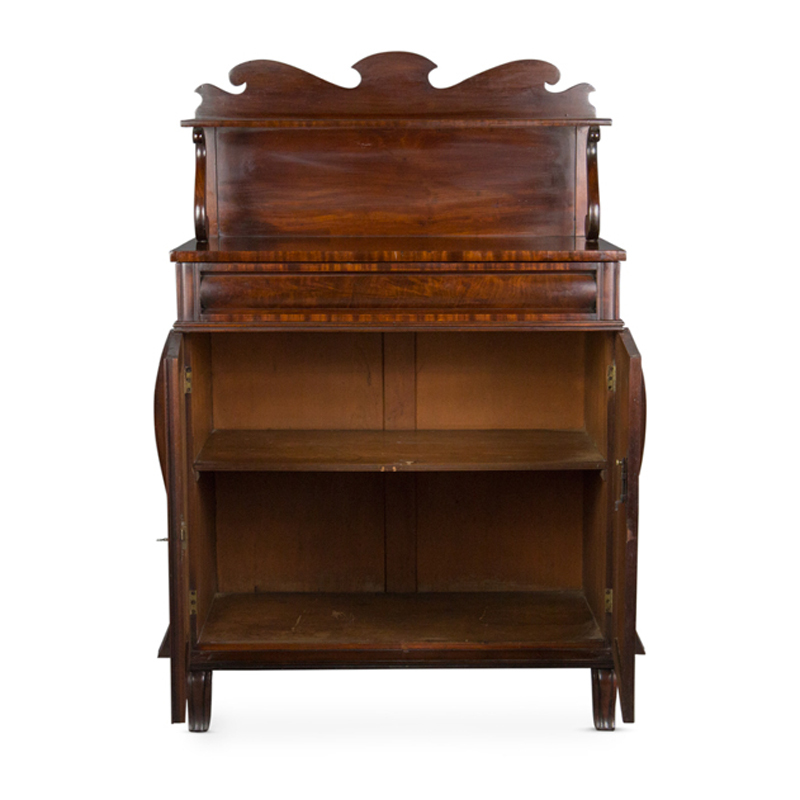 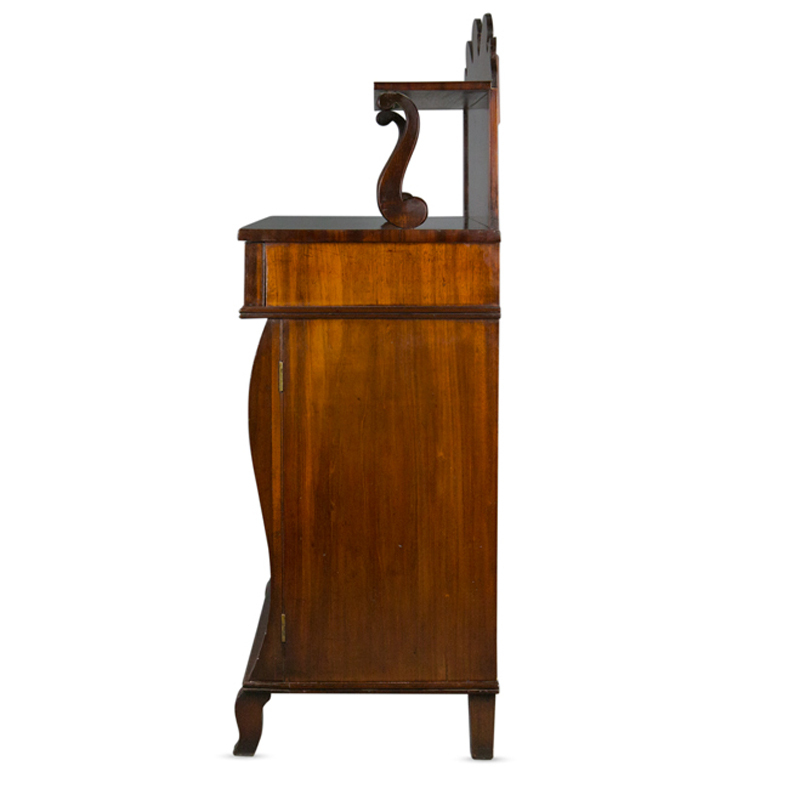 It features a raised superstructure to the rear with a shaped pediment and shelf raised on carved S-scroll supports. 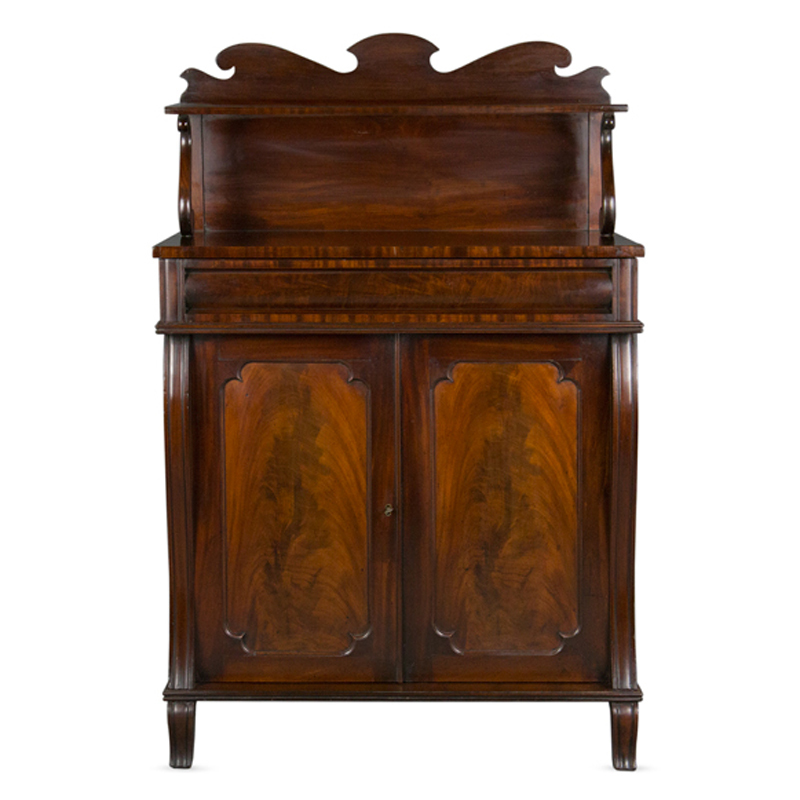 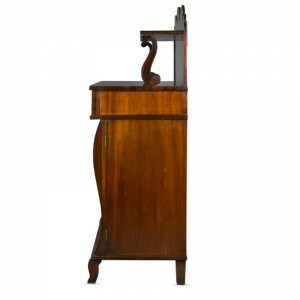 The main cabinet section has a single full-width mahogany lined drawer with convex front, above two shaped panelled doors flanked by shaped pilasters, opening to reveal an interior with single shelf, and raised on short sabre legs to the front and stile feet to the rear. This item is in original untouched condition and is structurally completely sound. 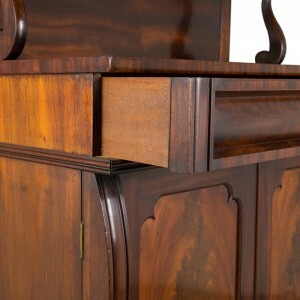 The polish has been revived, by our own craftsmen, by hand in the traditional manner. There are some old marks underneath the polish, which is attractively slightly faded in places.